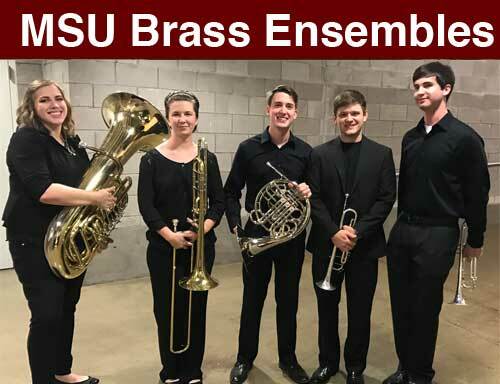 The October 7, 2017 MSU Brass Symposium is an opportunity for brass musicians high school and older to learn and perform with national guest artists and the MSU brass faculty. 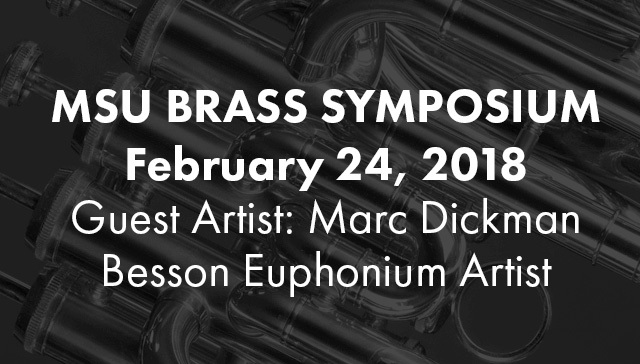 Participants will experience world-class coaching and performances by members of the Gateway Brass Quintet, stationed at Lackland Air Force Base. 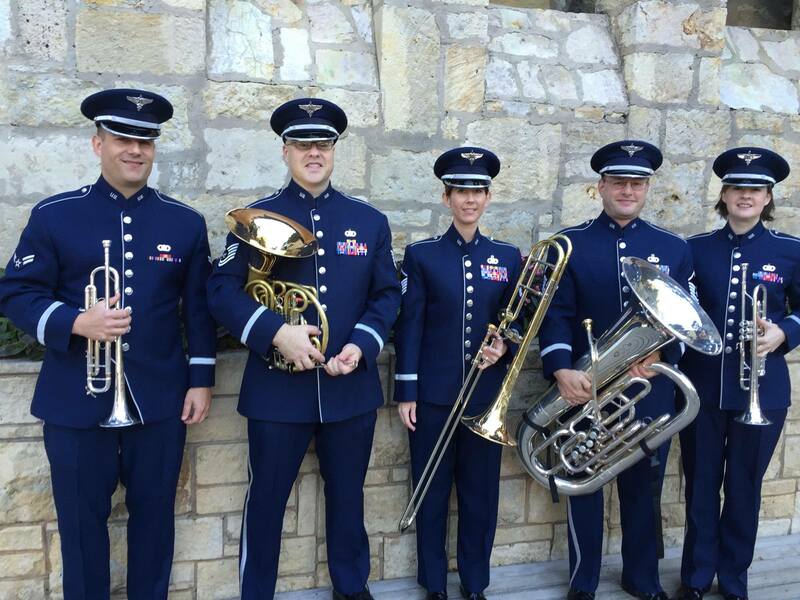 Gateway Brass is a brass quintet with percussion which proudly showcases military professionalism at DoD ceremonies and entertaining public concerts throughout the Gulf Coast region on behalf of the United States Air Force. This virtuoso group of active duty Airman musicians performs an exciting range of musical styles spanning five centuries. The MSU Brass Symposium will be held October 7, 2017 at the MSU Band and Choral Rehearsal Hall on the campus of Mississippi State University: 72 Hardy Road, Mississippi State University.